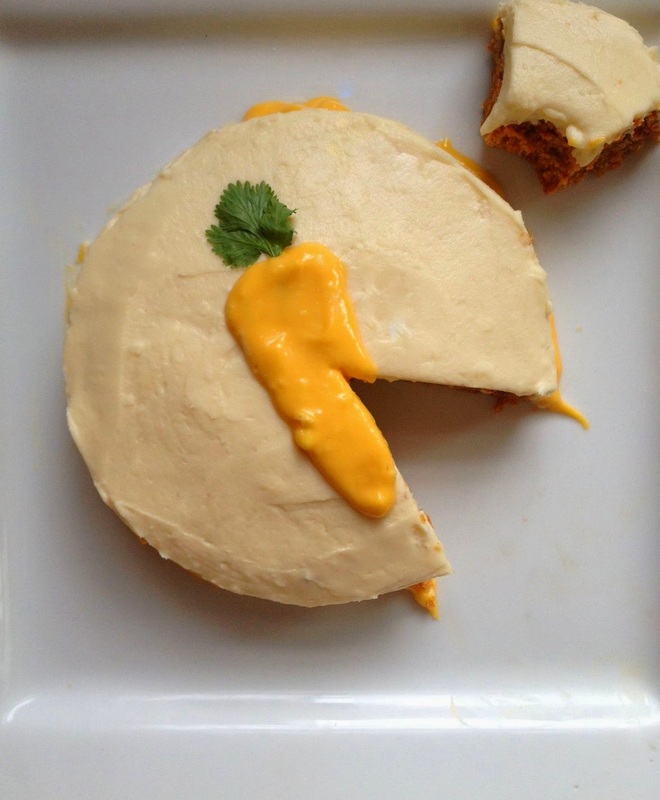 The Wholesome Foodie: No Bake Carrot Cake! When I was turning 5 my mother asked me what kind of cake I would like for my birthday. My response was immediately "carrot cake!" I'm pretty sure I was the only 5 year old passionate about carrot cake because none of my friends at the party liked it. They wanted vanilla or chocolate instead. Almost 20 years later, I'm still obsessed with carrot cake and obsessed with healthy food. 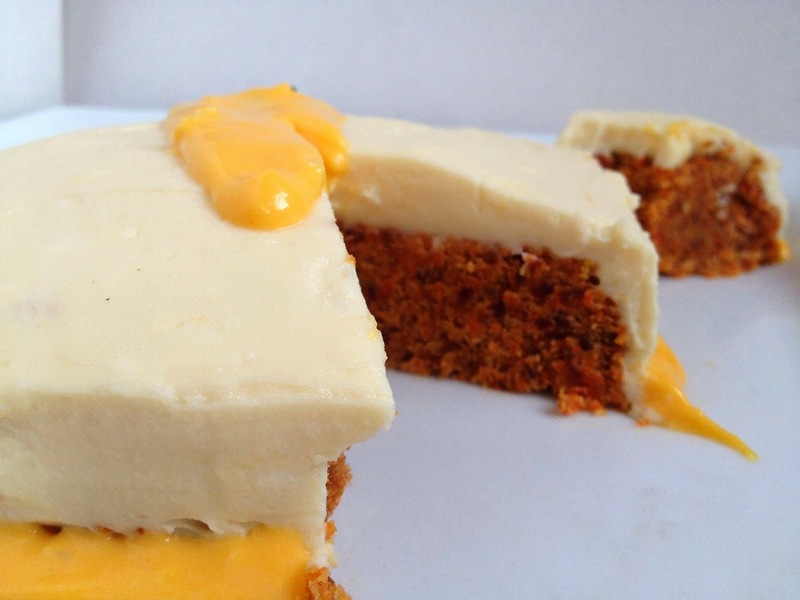 I invented a carrot cake recipe that will be sure to please everyone. 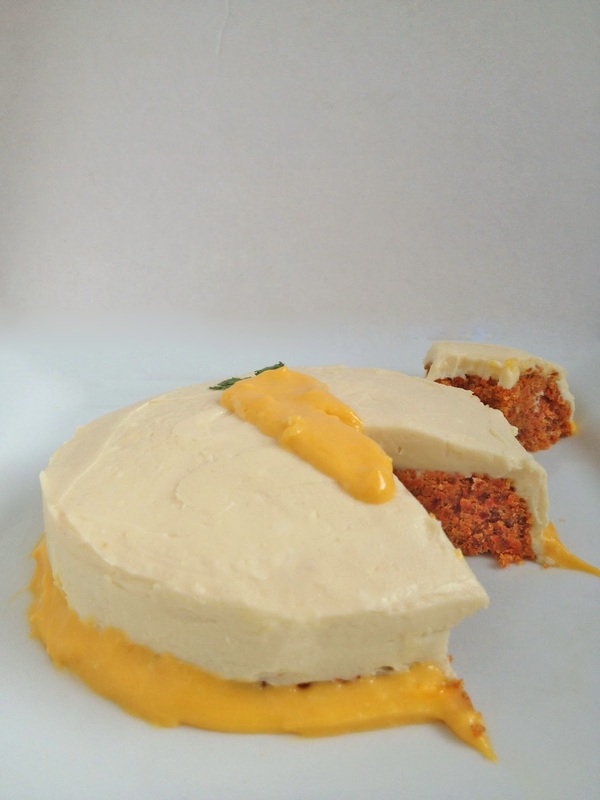 I have tested many different raw carrot cake recipes and this creation is by far the best one I have ever tasted. It is a small and very dense cake, so a small piece will suffice. *Please note: The frosting of this recipe is NOT paleo or vegan. However, your favorite cashew or coconut frosting will work just fine. 1. Using a 5x2 inch pan(or a small cake pan), grease the inside with coconut oil. (If you only have a larger cake pan, feel free to double this recipe. You will most likely eat it all!) *Also, you may want to add parchment paper to your pan. This makes the cake slide out even more easily! 2. Add all ingredients to a food processor. Pulse until cake starts to stick together. You may have to add a few more dates to reach this point. 3. Remove mixture from food processor and press into the prepared pan. Pack the cake in until it is flat on the top. 4. Set in the refrigerator for 10 minutes and then remove. Flip cake out onto a serving plate. 5. Frost with my honey cream cheese frosting or use a coconut frosting! *Honey cream cheese frosting is below. 1. Cream together cream cheese and butter with a handheld mixer or Kitchen-Aid. 2. Add in honey and vanilla and mix until everything is combined. 3. Reserve a bit of frosting and add a small amount of carrot juice. You will want to refrigerate this before you do any piping. 4. Frost your cake as desired!